Perhaps we’ll have to return in the dead of winter to get the whole picture, but either way, we still loved St. John’s. It was just so good to us. We stayed at Blue on Water, a lovely boutique hotel just a short walk from the George Street, the city’s infamous stretch of bars and music venues. Early one morning when we'd first arrived, our friend April (in town from Corner Brook!) joined us for an early morning trek up to Signal Hill, a former strategic military location with its view out over the Atlantic and into the city’s harbour. and a clear view of St. John’s bending around the harbour. We also made our way to North America’s easternmost point: Cape Spear. as well as the remnants of a WWII defense battery. It was guarded by American and Canadian soldiers during the war, and defended against German U-boats. There's a large series of bunkers built into the hillside, now empty and showing their age. Another spectacular viewpoint can be found from The Rooms. It’s an incredible cultural facility built up on the hill, housing an art gallery, museum, archives, countless programs for kids and adults, and a restaurant. For city exploring fuel, we stopped in several times at Fixed Coffee. We walked up to it from Blue on Water (much of St. John’s is set upon a hill sloping up from the harbour), and enjoyed 49th Parallel Coffee - a lovely nod to the left coast. They also carry Anchored Coffee, from our new buddies at Two if By Sea. All their baking is done in-house, including these Montreal-style bagels, which were fatter than the ones in Montreal, but just as tasty. And you know what? I don't care what the locals say. I'm always going to think of St. John's as always sunny. 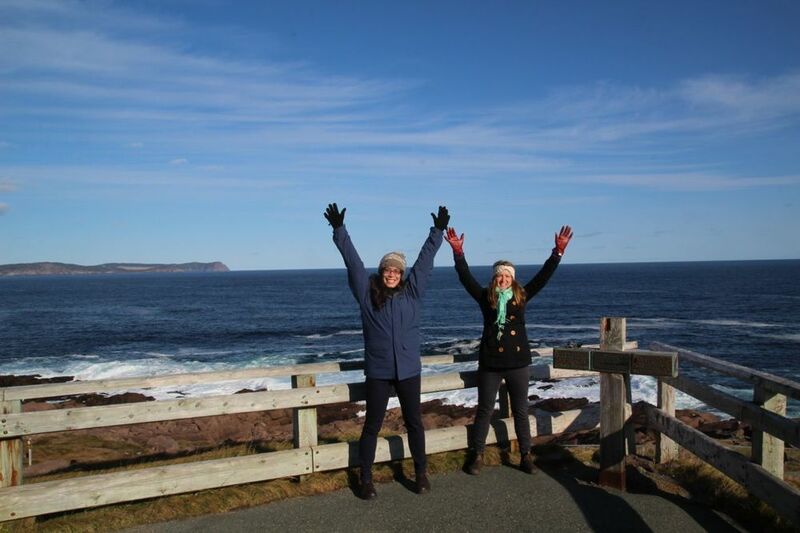 Written by FEAST On May 13, 2014 In Newfoundland, Lindsay Anderson Tagged St. John's, Newfoundland, Signal Hill, Cape Spear, Fixed Coffee, 49th Parallel Coffee, east coast, FEAST: An Edible Road Trip, #feastNL, The Rooms, Mary Pratt, Hey Rosetta!